Now that owners have been announced we wanted to update you and remind you of a few things. First off, we have extended sign ups until Wednesday, July 11th @ 11:59 pm. 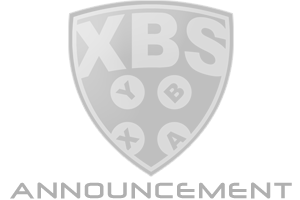 If you know anybody else that is interested in joining us please let get them to XBS and have them sign up. First, we had voted as a league to use old school teams with old school jerseys. However, with the limited time we had before the start of the season, technically it would have been a major headache to spend time on and get working on the scoreboard. So we have returned to current teams and jerseys. Secondly, we are attempting to run a season with smaller rosters this season and with that comes a commitment from you as our members. Whether the smaller roster approach works or not depends entirely on us as a community. Please make yourself as readily available as possible as we proceed throughout the season. We understand it is the summer season, but if you sign up for games please be available for those games. Also, please remember, there will be no free agent acquisitions this season so if you happen to put your team in a bind, they will not be able to add another player. If available, a player must be scheduled to play in 1 of the first 4 games and 1 of the last three games of the series. If this expectation cannot be met, it must go through a commissioner review. Finally, a huge thank you to you as our members for signing up for the summer season. We know summer isn’t always the easiest time to commit to a league but we certainly appreciate it. This will be our last season before we move on to NHL 19, so let’s make it a great one. Last edited by DustyRytStyk; Jul. 10th, '18 at 11:31 am.